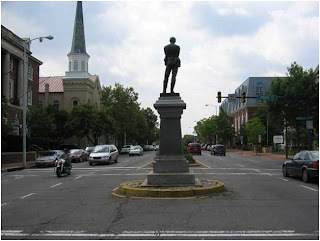 Take for example one of my favorites; a statue of a confederate soldier….standing right smack dab in the middle of the main street crossing the Potomac River leading into Alexandria Virginia from Washington DC. His body language is unmistakable. His back is to Washington. 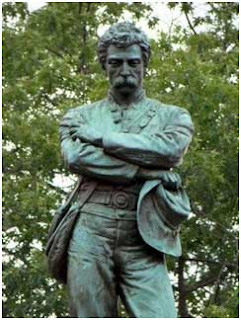 Just like they can’t understand why we average Americans are outraged by the proposed “Mosque Monument” named “ Cordoba,” which in Islamic symbolic terms, means "Islamic rule in the West"……at ground zero. I have a plan; since NASA’s new role in this current administration is not to explore outer space anymore, but to foster Muslim self esteem….and to help our anointed ones in Washington understand the meaning of at least one of those monuments, I propose that the Confederate soldier’s pants be lowered on the statue in Alexandria.